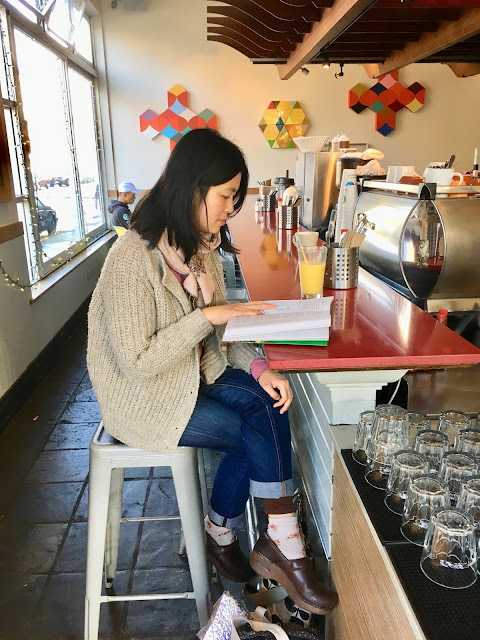 She is reading You and I Eat the Same: On the Countless Ways Food and Cooking Connect Us to One Another, by Chris Ying and René Redzepi. 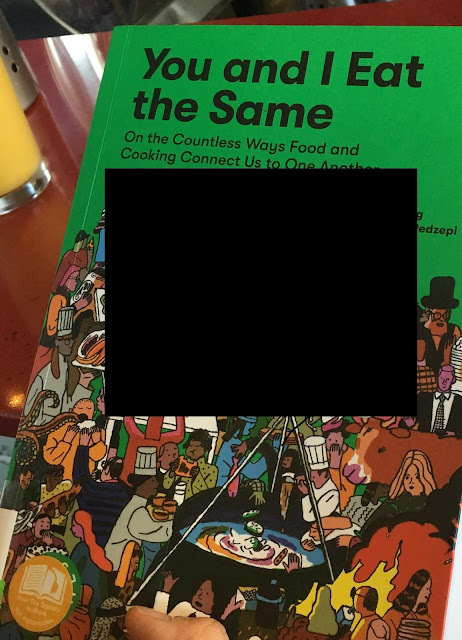 It's an anthology of essays and part of a series of books put out by the Danish nonprofit MAD, "intended to inspire, educate, and find creative solutions that make a real and sustainable difference in how the world eats" (from the back flap). Right now she's reading an essay about the San Francisco nonprofit, La Cocina entitled Food as a Gateway, by Bini Pradhan, Heena Patel, and Isabel Caudillo. Another good food series she likes is called Big City Food Biographies, published by Rowman and Littlefield. And another good book she's read recently was The Library Book, by Susan Orlean, about the fire at Los Angeles's Central Library in 1986.